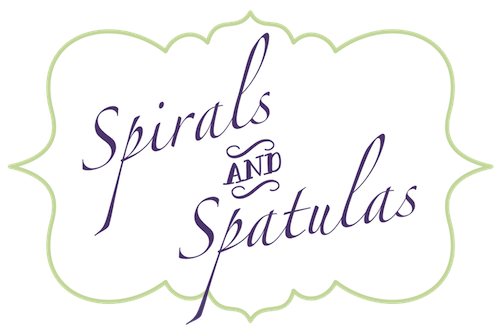 Spirals & Spatulas: Ornament Swap Recap! I participated in the Ornament Swap that Laura @ The Luckiest in Love hosted again this year, and it was so fun! 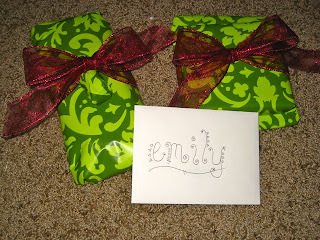 My swap partner was a sweet girl named Emily (she blogs at Throw the Starfish Back), and I so enjoyed swapping packages with her! 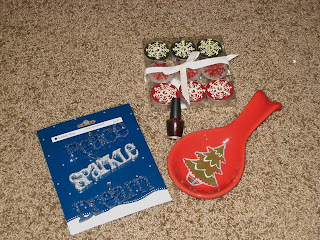 Sparkly word ornaments, a holiday spoon rest, Christmas tealight candles, and a mini OPI nail polish in Christmasy burgundy! 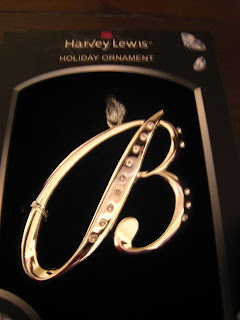 A "B" ornament (our last name starts with B), Christmas socks, some body lotion, and a bunch of Christmas candy! How cute are these snowman socks? 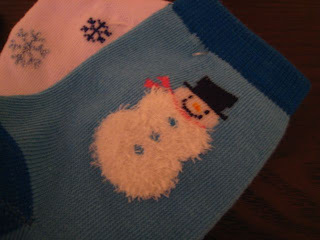 Those Sweet Tarts may or may not have been 1/4 gone before I even got around to taking a photo... oops. 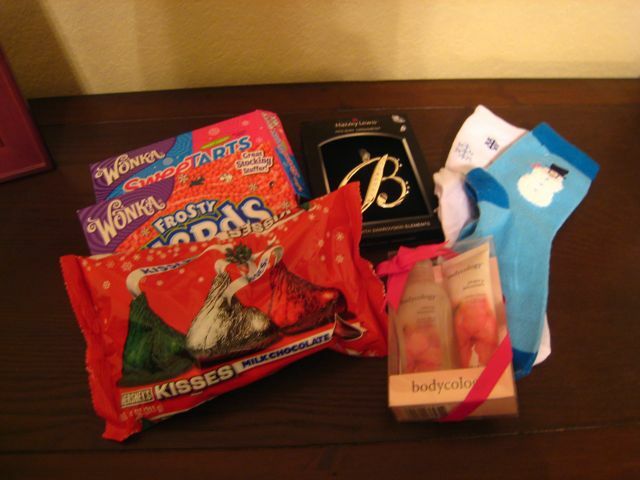 :) Thanks to Emily, I now have warm feet and plenty of sugary snacks while I study for finals. Speaking of finals, I'm taking #2 of 4 today (and it's my tax class, which is SO hard! 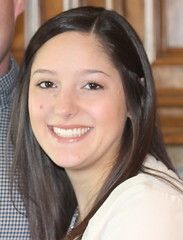 ), so if you could send up a quick little prayer for me I would really, really appreciate it!